I got something free with my Chinese food the other night when I went to pick up my egg rolls: advice. It was the end of a long, hard, day. I’d pushed myself hard to be moving at all with harsh stiffness and sharp pain in over a dozen joints. We’d been out that day because Roo had a doctor’s appointment in Orlando. We met his godmother for lunch and shuffled through an antique shop. The last time we did that, Roo was three months’ old. I used the cruise control in the hour-plus drive home. But making dinner was out of the question. Like you, I smile through pain, stiffness, and all the rest, to do as much as I possibly can. I don’t usually say anything, but sometimes there are clues that I’m in pain. That evening, I stopped at a Chinese restaurant to pick up egg rolls and soup to go with something that was in the fridge. Roo sat by some Chinese kids playing computer games. I stood to wait for the food because my knees would rather do that than struggle to bend and then get up. Standing is hard too, but sometimes I imagine I’ll just stand until I fall over – knees still stiff. Like one of those cardboard cutout celebrities in the party store in a sudden gust of wind. Without thinking, I stood holding onto my painful wrists. I was silent. The coworker was silent. The kids kept giggling. And the Chinese couple kept chatting with a contractor. He was so young and sure of himself. I was in no condition to argue with him, and I don’t think it would’ve helped. Here’s what popped into to my mind as we got in my truck: Did anyone like that ever get Rheumatoid Disease, and learn the reality the only way you can? If you did, let us hear about it. That would be sad, but maybe it would help someone else understand the truth too. What’s that saying? My invisible disease is more real than your imaginary medical advice? NOTE: If you need to know some facts about the reality of Rheumatoid Disease, click here for facts, busted myths, and footnotes to back them up. I am amazed at this ignorance! Will you post this on face book?. I’m trying Jody. FB has been giving me trouble – posting links as just text, not live links. Interactions like that are so difficult for us RA’ers to cope with but I remember when I was young and thought I knew so much. Oh Lord love a duck! If only Vicks Vapo Rub worked on RA, we would ALL immediately buy stock in the company! Ignorance knows no bounds…..but since he was Chinese, he may not believe in Western medicine….and what he relayed to you, was what he has probably been taught all his life. Since S. FL is in the middle of our yearly deep freeze, my RA has flared up so badly….rheumy now has me on Medrol every day – hate it, hate it, hate it! Not looking forward to the weight gain and moon face again…..if ONLY VVR would make it all go away!!!! This is as ignorant as my dentist’s hygienist telling me that my RA was caused by drinking diet soft drinks and that my RA would “go away” if I stopped drinking them. Well I know that is a bunch of BS. I have never had diet soda and avoid all artificial sweeteners like the plague. Even gum with artificial sweeteners plays havoc with my GI system. That is how I found out to avoid it. I really had to laugh at this post! How many times has this happened! Everyone has a cure but like everyone else with RD, if it was as easy as Vicks why are we spending money for expensive prescriptions, doctor visits, and constant testing??? I also consider my rheumy a jewel and never has he said take some Vicks or whatever as “this” is the miracle cure. I really try to remember their heart is in the right direction. 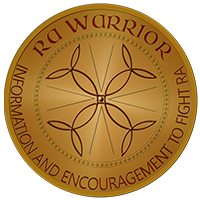 Thanks for RA Warrior as despite “those days” we all have, it reassures me that I am not alone! I’m glad you laughed Terry-Ann. It’s seriously a problem, but still funny when it happens to you. I didn’t know about RA until I was diagnosed. However, a friend of mine has Fibro Myalgia & though I never said anything to her, I thought she was exaggerating. Since my RA I have also come down with 6 auto immunes, and fibro. I told her where my head had been and apologized. That’s what I try to remember: I was ignorant once. I learned. Other people will too. 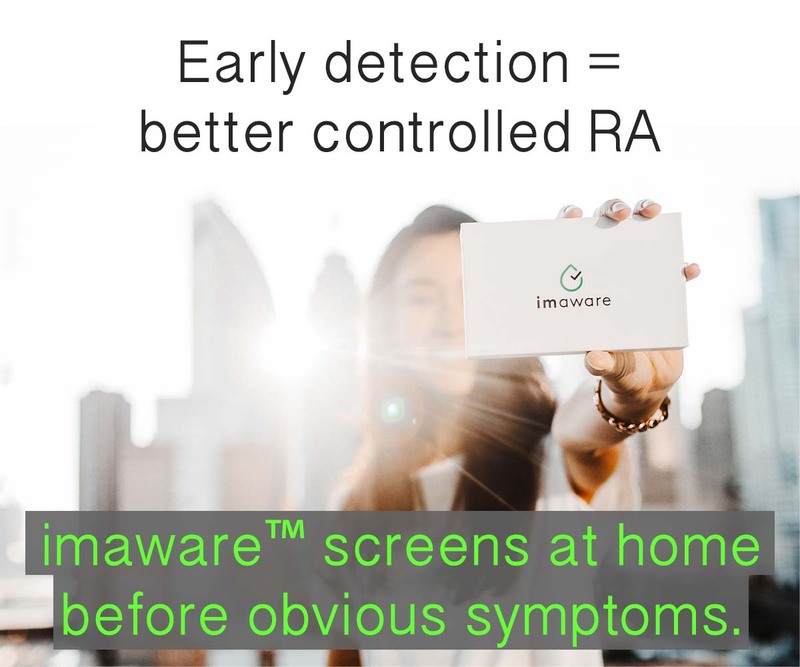 Jennifer, I’m sure that many people feel the same way now that you felt before you actually experienced RA, but as you must have read by now, RA is a tough disease to diagnose and understand. Sometimes people who have no children think they know that if or when they do have children, their children will be perfect etc etc. It’s always easy to make incorrect judgment calls when one is not familiar with what one is judging. I think you are great for apologizing to your friend–and I hope your friend appreciated you even more for that, but RA Warriors (and now you are one) know that this misjudgment is yet another hurdle they have to overcome…. Strength comes in numbers, and we all must work together. It will take more than Vicks to alleviate the RAD pain and spread more awareness to improve people’s perception of this dreadful disease. I have lived with severe RA symptoms for the last three years and am on my last FDA approved drug. So yes, I think I know a thing or two about RA. I am saying such judgements whereas frustrating aren’t uncommon nor are people always trying to be unkind. Kelly asked if anyone had ever made such judgements and then come down with an invisible illness. I have. But try to give folks the benefit of the doubt, or else we are judging in return. I actually had a similar experience recently from a family member. It was during one the worst flairs that I have had in a long time. I really wanted to suggest several ways they could use their magic cure! Fortunately, it was an encounter on the phone. After hanging up, the tears started flowing at their ignorance and my pain. Laugh probably wasn’t the best choice of words and I apologize if it offended anyone. Having RD is far from a laughing matter as anyone with this disease can all attest to. I hope everyone a soft day. I would always wonder why anyone would take any of those drugs advertised on TV if they had such horrific side effects. Now I am taking Enbrel and understand. My sister was diagnosed with the disease a couple years before I was and I remember a conversation with her where I really put my foot in it. We were joking about the zombie apocalypse and she stated that she would need to left behind because without her prescription medications she would be a liability and I told her we could find some natural solutions to deal with the disease and keep her going. I did apologize later when I started dealing with the disease as I realized how ignorant my comment actually was. Personally I think it’s difficult for someone who hasn’t suffered some kind of chronic pain or disease to understand what people with RAD go through, and I think the problem is compounded because our outsides do not reflect all the pain and damage occurring inside. I wish I had known about Vicks sooner!!!! I have always said that we should hire kids because they know everything! I guess the hardest for me are the constant well wishers, especially family and long time friends, that keep telling me how to eat better to heal this. I have always been the one that ate very well. I was the one who made organic fresh baby food, the one that had an organic garden, the outdoors person, the one that NEVER drank soft drinks, etc… Now all the sudden I need to be told how to eat to heal this disease, I guess when I was diagnosed, I also lost my mind. it must not have been me that was perfectly healthy before this horrible disease took over my body. A RA forum recently had a thread on “What’s the stupidest comment you’ve ever gotten about RA?” One that keeps coming up is something about raisins soaked in gin- sounds nasty to me! The one that stopped me dead in my tracks was a suggestion that petting a short-haired dog would cure RA. Wait until the insurance companies catch wind of that. They’ll never approve anyone’s Enbrel prescription again! A high school friend always thought I was a hypochondriac and told me that if I just stopped fixating on it, I would get better. Her daughter now has chronic fatigue syndrome and asked me if her daughter was REALLY that tired. YES!!!!! Hi Kelly, That would have been so frustrating. I sometimes try to say to myself, people mean well, but it irks doesn’t it? I was in the healthfood shop just this morning, same as you feeling in pain , and i was buying cider vinegar, somehow got round to RA and she looked really excited and took me to the celery seed and talked to me about its benefits.I smiled and said i can’t take everything that might work i would be all day getting it all down. When i am in pain i sometimes feel that i am doing something wrong or my husband says you have overdone it, why did you do that? It is a fine line between friends and family feeling for you or wanting to take charge and adding another gel or cream or vitamin or food or have you tried yoga? I sometimes feel i am in my own world of just getting through my days. Thanks for the sharing. Good timing on this article. The receptionist at my son’s school knew I’ve been having a rough fall/winter with my disease, and she (again!) was asking me if I’d tried some anti-inflammatory diet, etc. It went on for 20 minutes (I was trying to be polite, she’s very sweet). At the end she was sort of in a huff and said “Well, I’ve tried to help” and I explained, gently, AGAIN, that not everything can be fixed, that there isn’t always an answer. My experience was opposite to yours Rebecca. I, like you have always been a very healthy eater, I have very little body fat on me so the solution of course was to start eating a less healthy diet. My mother kept telling me that I wasn’t getting enough fat in my diet so I needed to indulge in the sweets and snacks more frequently to increase my fat intake and then my body would respond and not feel the pain as much. This was prior to my diagnosis and she has since educated herself somewhat but is still offering the latest and greatest “fad” for pain relief that can usually be found on the back page of a gossip magazine. Don’t forget your cherries, apple cider vinegar, pineapple, etc… Oh and the aspirin too, I just had a family member ask me if I was taking that because that was all my grandma had and she went into remission (she also was pregnant 8 times, had permanently deformed feet and died at age 54). I know they are well-meaning, but it gets really frustrating. I have had RD/RA for over 40 years. I am 77 . Until Enbrel came into my world of pain, I went through terribly rough times. I am treated with Enbrel, Arava, Methotrexate. First time ever I have been able to live my life without a lot of pain. I use to say to friends and family, “You have to have this disease to understand it, therefore I hope you never understand it.” When I hear people, who do not understand RA ,with all of their cures for me I have a variety of thoughts. Their ignorance overwhelms me. Vick is not a cure, but.. it can help when your chest and ribcage hurts and you are perhaps suffering with that tight feeling and you feel you are struggling to breathe. In the UK Sports personnel will often recommend the product to rub on sore joints. Yes it is not in anyway a long term fix and you may still need your painkillers but it can alleviate muscle pain. Recently I have had severe chest pain with muscles also playing up. I even had another depromedrone injection at the hospital because my RA was very active, but the relief overnight from chest pain was achieved with good old Vick. I replied with a link to one of Kelly’s articles about how RD affects peoples’ lives. Bath-girl hasn’t replied to me yet. It never fails to astound me that people who have no knowledge of the disease think they know how to cure us. they could obviously be cured of their ignorance by a day of living with the real RD. But we would of course wish that on no one – sort of like telling someone to “go to Hell” – I don’t do that either. The thing that has really shocked be over the past few years is how mean they can be about it. It sounds like take and advil & a bath and quit bellyaching. I’m not one of them, but I know many people who’ve gotten their lives back from mtx. And they will probably live longer because studies are showing if you have a disease treatment that works on joints, it is helping systemic disease as well. I wouldn’t wish a day of RD on her either, but I wish there was a way to make people understand the pain, fatigue and all the issues that come with chronic pain. She did reply to my message and thanked me for pointing her to your site. She also clarified that the bath and Advil didn’t really help her mom, but her mom wouldn’t take anything else. (Her mom passed at the age of 87.) It sounds like she doesn’t know much about RD and I hope she educates herself. Thanks for everything you do on this site, Kelly. I have sent links to your posts to many friends and relatives who just don’t understand RD. no, I can’t move comments but that’s ok. Don’t worry. I live in a small town in Hawaii where there are lots of “granola” people who hate gmo’s, eat organic, vegan, avoid vaccinations, use alternative everything, and all consider themselves to be healers. Since I have both osteo and rheumatoid, I get waaaaaay more advice than I could ever hope to want. I usually say that I’ve heard about what they are promoting and that for years I tried alternative treatments (for my osteo) and that I am now using the “big guns” of western medicine because they are actually giving me some of my life back. I do take some herbs for antifungal and for thyroid support and have found that they do actually help, BUT! An autoimmune disease is a complicated thing that has been studied for many years and I like having hard science research to help me make my treatment choices. Most folks don’t give up, so I just say that we each have to find our own way and if and when they develop rheumatoid disease they can use turmeric, cinnamon, Chinese herbs, yoga, meditation, aura alignment, food allergy retraining or whatever else they choose. Then I say, I like drugs because they work for me. I get a lot of pitying looks from the know-it-alls. Sometimes I tell them that I have more faith the the scientists with multiple degrees who have been doing the many years of research, than the neighbors who read articles in their favorite health food store magazines. It all depends on how pushy they get. The nice ones get thanked for their genuine concern. The pushy ones, not so much. Life is too short to suffer foolishness. BTW, if all those alternative treatments worked, then insurance companies would be turning down the medical treatments in favor of the granola/crystal/aura treatments. What herbs do you use as an anti-fungal treatment? I have had nail psoriasis for 7 years and have seen 6 dermatologists– even have had injections under my fingernails (and does that ever hurt). There is no “cure” as long as I am on Humira, which I have used twice a month since my initial diagnosis of RD ten years ago. I just got Indigo powder in the mail today. You are supposed to make a salve with it and treat affected areas. It probably sounds like vanity, but most of my fingernails are so far away from the nail bed that I cannot pick up things like change or open bags and so forth. I too have been told this. It is so difficult to get people to understand that it is an autoimmune disease and that my immune system is fighting itself. It is really hard to get people to understand exactly what is going on inside my body. Actually it was Frances that mentioned the antifungals. I’m curious to know as well, though. I have always had problems with fungus in my toenails and since I started MTX and Enbrel, they’re much worse. I know tea tree oil has antifungal properties, but I keep forgetting to ask my rheumy if it’s ok to use. I think it’s safe Carole. But you can ask him or your pharmacist. I had real problems with nail fungus and tried the tea tree oil but it didn’t help. Then I ended up with athlete’s foot so I bought some spray for that. While using the spray for the athletes foot the nail fungus cleared up. It flares up once in a while so I just retreat every so often. Give it a try. Worked for me. Got to say, Kelly, I love that phrase: my invisible disease is more real than your imaginary medical advice ( or degree ) – lol! I have one. When I informed a family member 10 years ago now that I had been diagnosed with RA. Without missing a beat, she said ” *sigh* well, I guess that’s what happens when you get old” *deer in headlights look on my face* So I asked her to explain to me how kids get it. I was 37 at the time of my diagnosis. Nuthin says lovin…. I think the worst is when people insinuate it’s your own fault like poor diet, or New Age ideas about positivity and if you’re ill it’s because you have too many negative thoughts. Fads like gluten-free make people believe you could cure your RA easily with dietary change. Well I did read an account of some one following the Paleo diet and seeing improvement, but the thing is sometimes there are other factors involved. 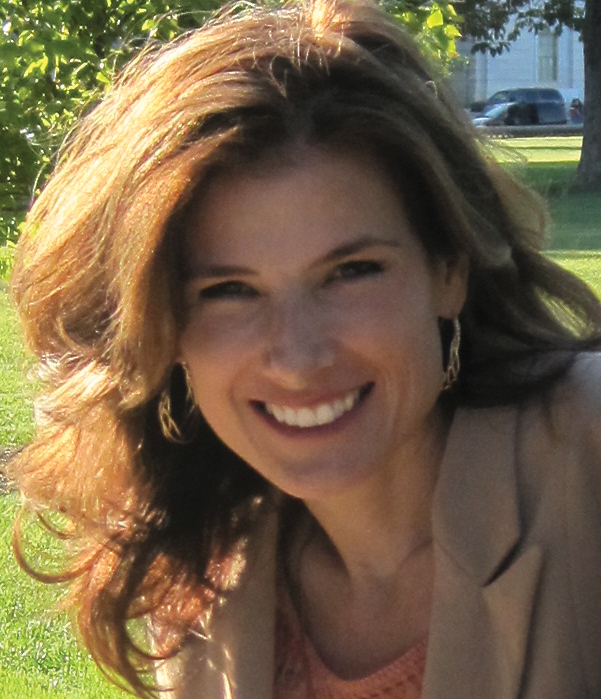 This woman also went through pregnancy, and Doctors say that pregnancy puts RA into remission for many people. Well here’s this lady attributing her remission to Paleo diet which she did during her pregnancy! Then she admits that now she’s back on her enbrel, just not as frequently as before, so therefore it must be the success of her diet, nevermind the fact that she still takes the Enbrel. As much as I love bread, I think we would all go gluten free in a heartbeat if there was any proof it worked for RA! That helpful young man was living in the La-La Land of “healthy privilege”, common to those fortunate enough to be blissfully ignorant about what it’s actually like to live with pain or any chronic illness diagnosis. Thank you Carolyn for the insightful comments about *how* someone can be so ignorant. I’ve worked so hard to teach my children kindness – which is what’s especially needed when one doesn’t share an experience (so empathy is harder). Ignorance aside, I pray we can all try to be more kind. Kelly I think ‘Go to Hell’ works for me! I am afraid lately I FEEL LIKE SLUGGING the ignorant and rude comments out of people. 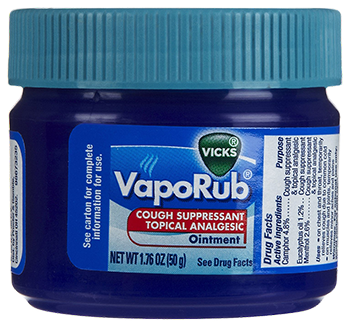 I read with amazement everyone’s post concerning an unaffected person of RA or RD as you Americans call it, recommending using Vicks Vapour Rub on affected joints. I think you all missed the point entirely! This well meaning person probably had no idea that the author of this post was suffering from Rheumatoid Arthritis, because from the outside you can’t see the chaos and destruction going on relentlessly and silently inside the body! What he actually saw was someone with a painful joint which he may well have had experience with (as in Osteo Arthritis) and proceeded to give advice about using Vicks. Well, good people, I have Osteo Arthritis and I can assure you that Vicks is the only thing so far that is keeping me mobile as both my big toes have now fused onto my feet and have entirely lost their flexibility! Sometimes the pain was so bad I couldn’t put pressure on them to walk! Now you may be saying to yourselves ‘so what does she know about RA….it isn’t Osteo!!!! !’ Oh believe me I know everything there is to know about about this cruel tortuous disease. You see when my lovely soulmate of a husband was 35, he developed very aggressive RA almost over night and I became his prime career 24/7 as within months he was in a wheelchair and throughout the next 20 years he had equally as many major surgeries (some of which had never been done before). He was blessed with the best doctors and surgeons here in England. However it wasn’t the RA that ended his life at the age of 56 it was actually the drugs that eventually totally wiped out his immune system and allowed the Big C in three diverse forms to finally end his life. In all that time he had the good grace to listen to what ever people had to offer without belittling their efforts or advice . He tried things….if they worked ,great…if not well at least he had given it a go. So now it is my turn to listen and give things a go. Yes…. Vicks works for me….thank you for my mobility. I take my hat off to all RA sufferers as your road is as rough as it gets and no one can walk it for you. I hope one day there will be a time when it no longer exists.